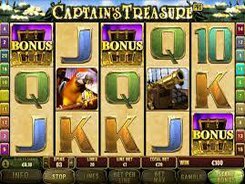 Captain's Treasure Pro is a pirate-themed slot machine developed by Playtech that promises ultimate fun and excitement. The symbols of this 5-reel 20-line game are pirates, parrots, treasure chests, cannons, and other sea-faring icons. Choose the coin value that varies from $0.01 to $2, and place your bet of up to 10 coins per line. The top bet allowed in Captain's Treasure Pro is 400 coins. 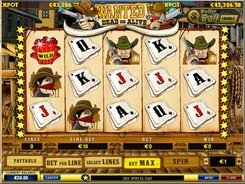 The jackpot win is 5000 coins, or $100,000, if you happen to place the maximum possible bet per spin. The captain is the wild symbol helping to create winning combinations. 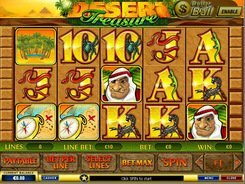 The treasure chest acts as the scatter that triggers 10 free spins. 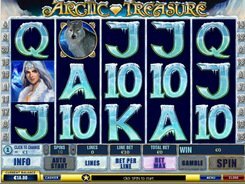 And if you hit 3–5 scatters anywhere on the reels you get your initial bet times x200 multiplier. Besides, any regular symbol can randomly turn into a Mystery Scatter icon boosting you chances for activating a free spin round. The gamble feature starts every time you get a winning combination. In the gamble feature, the dealer has one card face-up. You must select one of the four cards face-down. If the card that you have chosen is higher than the dealer’s card, your win is doubled. 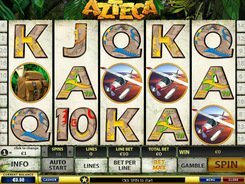 Otherwise, you lose your winnings received in the spin preceding the gamble feature. PLAY FOR REAL MONEY!